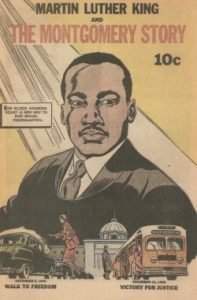 On this Martin Luther King Jr. Day, I encourage you to read, whether again or for the first time, “March,” written by the Congressman and civil rights leader John Lewis and Andrew Aydin, and illustrated by Nate Powell. See the November archives for a review. Within “March,” Lewis mentions a 1957 comic that inspired him and college students across the country to organize the lunch-counter sit-ins that gave the civil rights movement critical momentum. “Nicole J. Georges: Friend to Creatures” reads the label on the home page of this week’s author/artist. Mainly a writer and illustrator, Georges is also for hire, according to her website, as a pet portraitist, punk aerobics instructor, advice columnist, and teacher of comics and self-publishing workshops, especially for young girls.